Filming, directing and editing original video content for Life at GOJEK. Assisting in the preparation of shoots. Co-ordinating and running shoots with the team. Editing, building graphics and sourcing music to create fully crafted video content from start to finish. Repurposing the above collateral into teasers, GIFs, and square and vertical formats, to use across our many social media accounts. Working closely with content team to develop ideas and execute it. Always forward-planning to create new and exciting video concepts our audiences will love. Min. 1 year experience as videographer. Able to operate a camera and have camera operating skill. Proven work experience as a videographer and editor solid experience with digital technology and editing software package (adobe premiere, after effects, lightroom). Demonstrable video editing ability with a strong portfolio. Degree in film making, multimedia or related field. Able to collaborate & communicate clearly with the team. Established in 2010 as a motorcycle ride-hailing phone service in Indonesia, GOJEK has since evolved to provide on-demand transport and lifestyle services that move the city. GOJEK first established its international footprint in 2018 when the Indonesian first ‘Unicorn’ company entered Vietnam, followed with Singapore, Thailand and The Philippines. 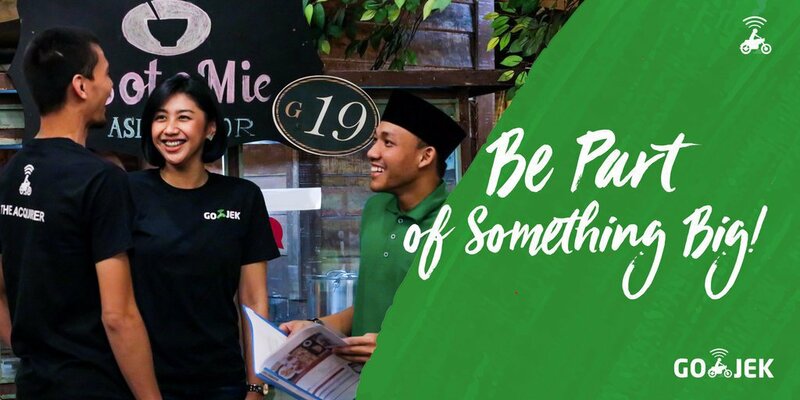 Driven by the spirit of spreading positive social impacts through technology, GOJEK’s expansion aims to improve the quality of life of our customers by ensuring efficiency in each market and to be the solution of every day’s frustration. As a true local startup, GOJEK’s mobile application is now the number one online service booking app in Indonesia, with more than 125 million downloads as of December 2018, 21 line of services spread out in over 170+ cities across Southeast Asia, with more to follow in the coming years. Proud to be Karya Anak Bangsa, we continue to strive to be a bar-raising company. This is the place where we get to collaborate with A+ talent. This is where we experience tremendous growth and learning opportunity. This is where we nurture our fast-paced, dynamic and fun-filled culture.